The industry continues to enhance training and education to better prepare its workforce for the conditions they encounter offshore. 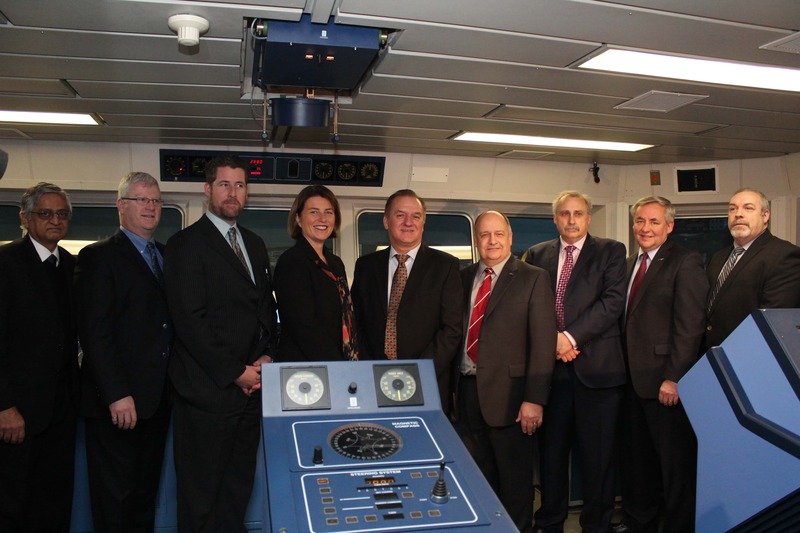 In early 2014, Hibernia Management and Development Company Ltd., operator of the Hibernia project offshore Newfoundland and Labrador, and government announced plans for a new $6.1 million offshore operations simulator facility at Memorial University’s Fisheries and Marine Institute in St. John’s. The purpose of the new facility will be to provide offshore operators with advanced and customized training for the supply and support of offshore facilities and production platforms. The institute’s Centre for Marine Simulation will train new and existing personnel at the Hibernia Offshore Operations Simulator Facility in complex tasks, such as positioning and mooring of offshore structures, supply transfers, iceberg management, seismic surveys and subsea operations. The new simulator, currently under construction at the institute, will include a motion platform that replicates a wide range of conditions at sea, a visualization system and an instructor station. Development of the facility is being funded through donations from Hibernia Management and Development Company, the Newfoundland and Labrador government and the Canadian government.